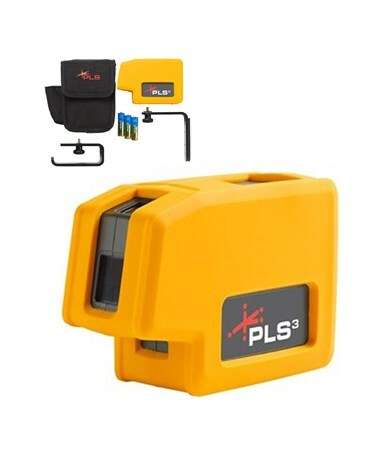 Perfect for both indoor and outdoor applications, the Pacific Laser Systems PLS3 Point Laser Level is great for making layouts, remodeling, indoor alignment and leveling jobs. It offers a working range up to 100 feet and ±1/4 inch accuracy at 100 feet. 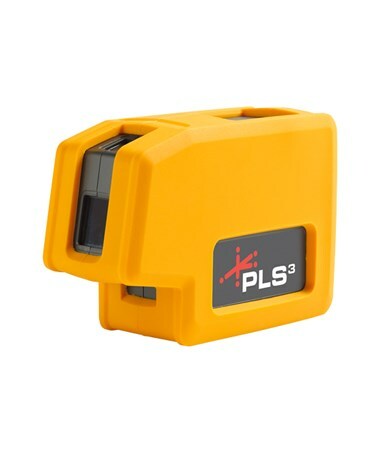 This point laser automatically self-levels within ±6 degrees which gives reliable readings. 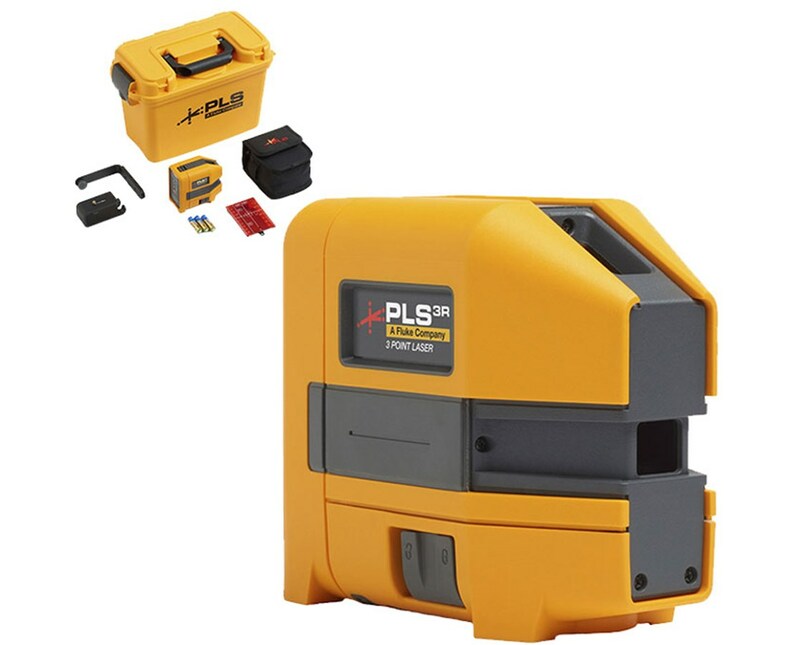 For added precision, the PLS3 comes with a magnetic dampening technology that inhibits the device from being affected by vibrations on the job site. With three beams, it features a Class 2 red laser that projects up, down, and forward. For more accuracy, it features an out-of-level warning light that alerts the construction worker that the instrument has been moved. 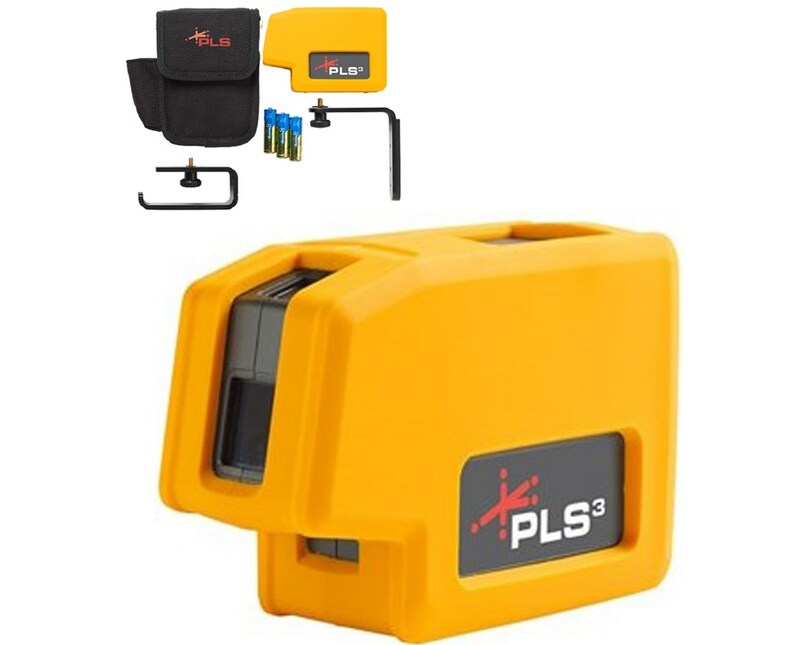 This PLS red laser level uses three AA batteries that power the laser up to 30 hours. It comes with a rugged design that can withstand a three-foot drop. As an additional feature, this construction tool has a 1/4"-20 thread that is compatible with most tripod brands.